Over the past week, nearly all legacy news outlets have published articles criticizing the growing movement around a mysterious figure or group known as “Q,” which since October 2017 has been publishing alleged leaks on behind-the-scenes actions taken by the Trump administration to uproot alleged global corruption. 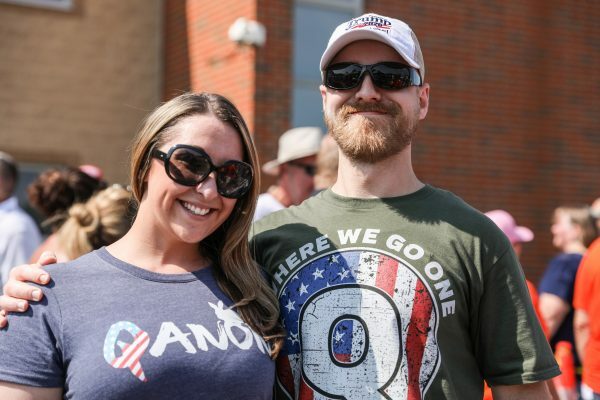 The media backlash has done little to dissuade Q supporters, however, who continue to support the movement with billboards and t-shirts at Trump rallies, and in numerous online groups that analyze and discuss recent news and posts from Q. 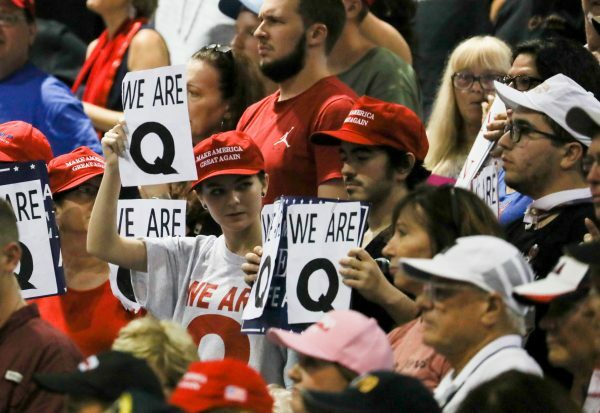 To gain a better understanding of the movement, and why people believe in it, The Epoch Times spoke with Q fans at recent Trump rallies in Pennsylvania and Ohio, and with Jordan Sather, a prominent figure online who speaks and writes about his analysis of Q. “Anybody calling it a cult or calling it a conspiracy theory, or calling it names, is doing so from an ignorant standpoint. Everybody attacking it, I find, they’re not even reading it,” said Sather, who runs the “Destroying the Illusion” channel on YouTube, on which he analyzes Q posts. Q is a series of anonymous posts on the 8chan forum, which includes encryption to protect the identity of users, allowing for free discussion. The Q posts are mainly based on politics and focus on giving context to events both in the past and allegedly still to come. They focus heavily on government corruption and allege that actions are being taken by Trump and his administration to purge this corruption. Sather described Q as a “laser pointer” that directs people to research chains of open-source information and discuss their findings on the forum. The Q forum has received a large following. On June 28, Time Magazine listed Q as one of “the 25 most influential people on the internet.” Some users follow Q posts directly on 8chan, while many others follow various websites and YouTube channels that republish and analyze the posts. Francesca Spotts, 38, who works as a bartender, was holding a Q sign at an Aug. 2 Trump rally in Wilkes-Barre, Pennsylvania. “The information is for you to investigate yourself, just like the news,” she said. “If you’re watching CNN, you’re looking at information and it’s up to you to go out and validate that information in other places, and this is the same thing. It’s just a different news outlet. “If we were no threat, they wouldn’t have to waste their resources and time to silence us,” Reed said. She also pointed to the more than 45,000 sealed indictments said to be waiting currently at the Justice Department and noted that in a normal year the number is only 2,000 to 3,000. A team of volunteers compiled the number of indictments using the Public Access to Court Electronic Records service of the federal judiciary. Reed believes the sealed indictments are tied to Q claims about the Trump administration clearing out corruption. According to Sather, many news articles have attempted to analyze who Q is, rather than why the posts exist. In Sather’s analysis, the Q posts are part of an information dissemination project being run with the purpose of informing the public about political events as they take place. He said that if the Trump administration were to uphold its promises to “drain the swamp,” it would likely look like what Q is discussing. He also said that it if the alleged events are real, it makes sense that it is done through an alternative channel rather than legacy news outlets or social media that could censor the information. Sather also believes that the sometimes indirect nature of the posts, which use abbreviations for names and incidents, relying on the community to decode the meaning, is also done in a way that would not violate national security laws. Charlotte Cuthbertson contributed to this report.